Victor Mundende is the Managing Director of ZESCO Limited. Previously he held the position of Chief Operating Officer a position which deputized the Managing Director. 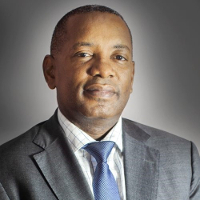 Mr. Mundende graduated from the University of Zambia in 1991 with a Bachelor’s Degree in Engineering and joined ZESCO Limited in the same year. He has worked in various positions spanning from operations in the power plants to development of new power plants in ZESCO’s Generation Directorate. He worked for over 8 years on Zambia’s Power Rehabilitation Project (PRP). He has also worked as Director of Generation Directorate. His responsibilities to the Board include but are not limited to ensuring that the Corporations objectives are met and the execution of the corporations strategy are presented and approved by the Board.